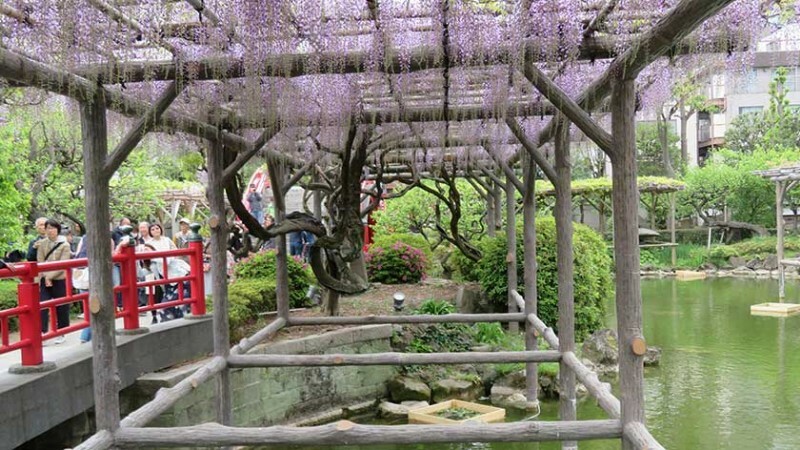 Kameido Tenjin Shrine is hidden gem in Tokyo with a beautiful wisteria festival and is mostly accessible. 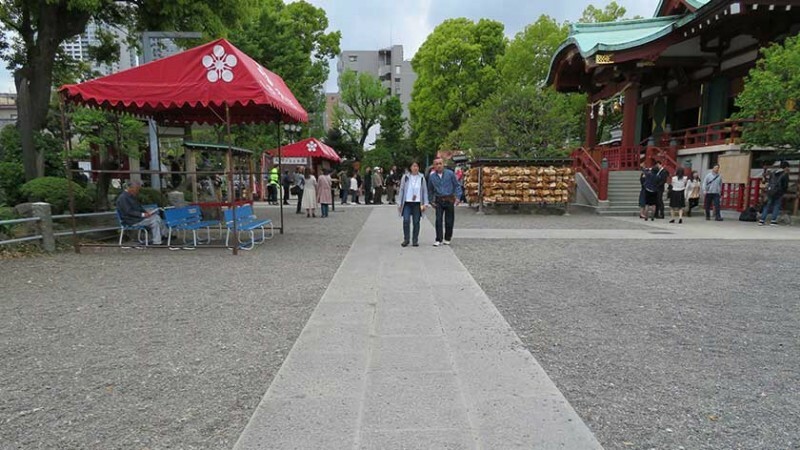 Komeido Tenjin Shrine is dedicated to Sugawara no Michizane. A political and intellectual during the Heian period, Michizane was demoted and expelled from Kyoto when Emperor Daigo came to the thrown. After he died in 903, Kyoto experienced a series of disasters and the people attributed to Michizane’s spirit. 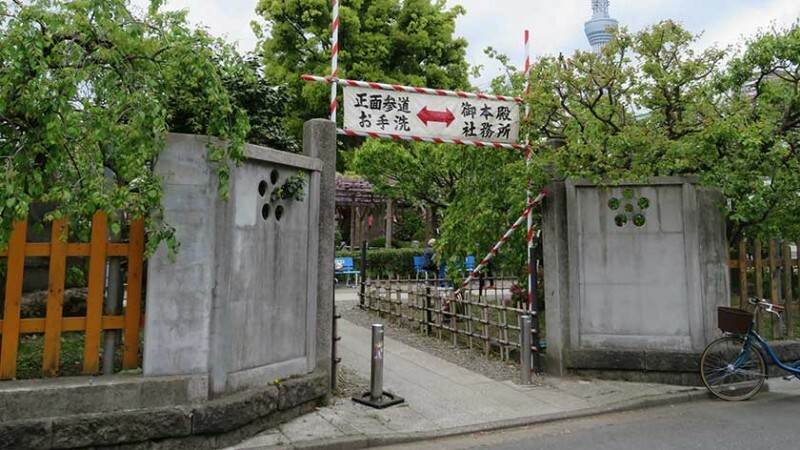 To correct the emperor’s mistake, he was deified and became known as Tenjin-sama, Shinto god of knowledge and study. 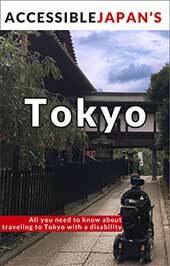 After a great fire destroyed much of Edo (present day Tokyo) in 1657, the Shogun alloted a plot of land for the shrine. 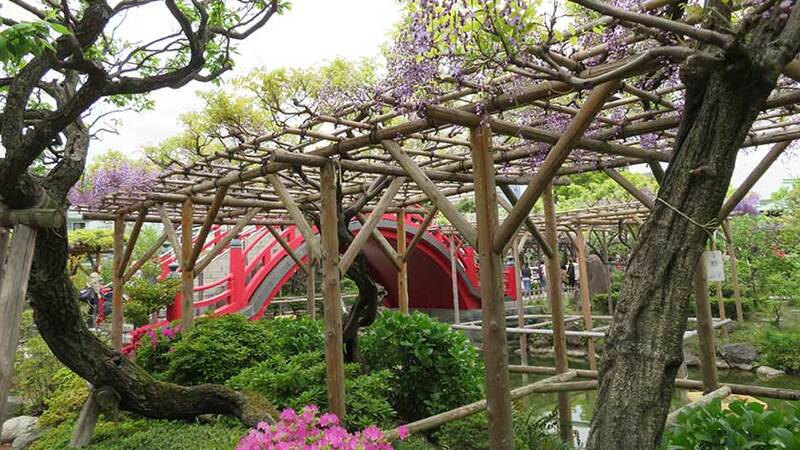 The construction was finished in 1662 and includes a traditional torii gate at its entrance, expansive hanging wisteria plants, and a series of ponds which are home to fish and tortoises. 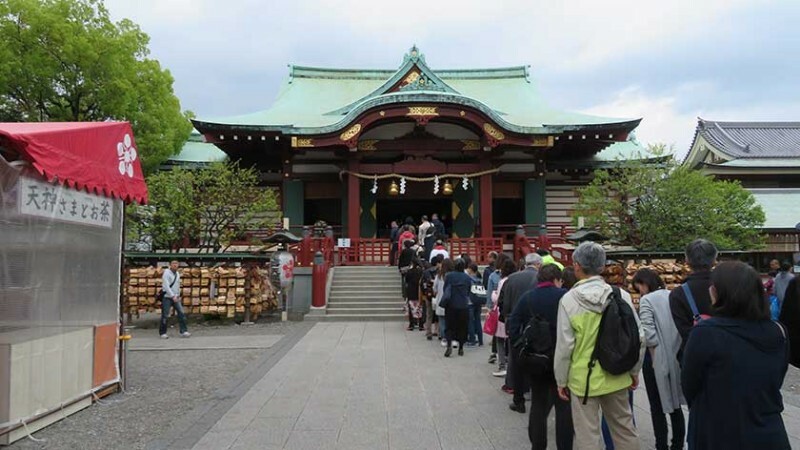 The shrine is should not be missed in late April to early May when the temple’s wisteria flowers are in bloom and the shrine holds the the Fuji Wisteria Festival. It is also a popular spot for viewing plum blossoms in February. The main hall is open from 6:00 am to 5:00 pm, but the grounds are open 24 hours. Admission is free. 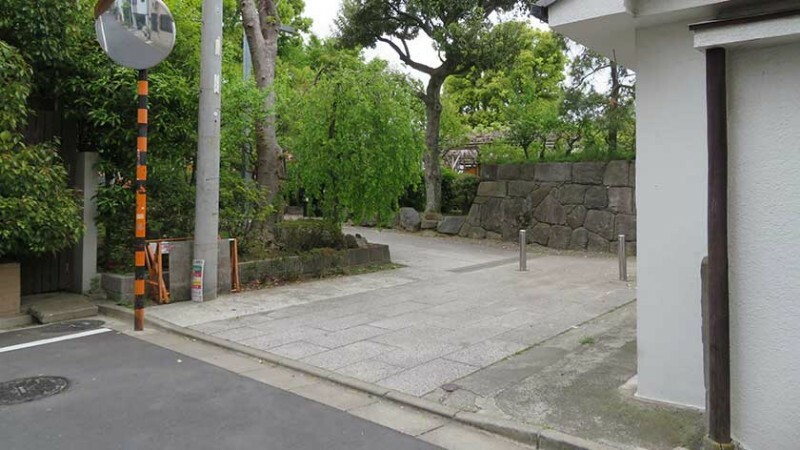 Kameido Tenjin Shrine is next to the Kameido Tenjin Mae bus stop, or a 15 minute walk from either Komeido Station or Kinshicho Station. Both stations are wheelchair accessible as are the buses. 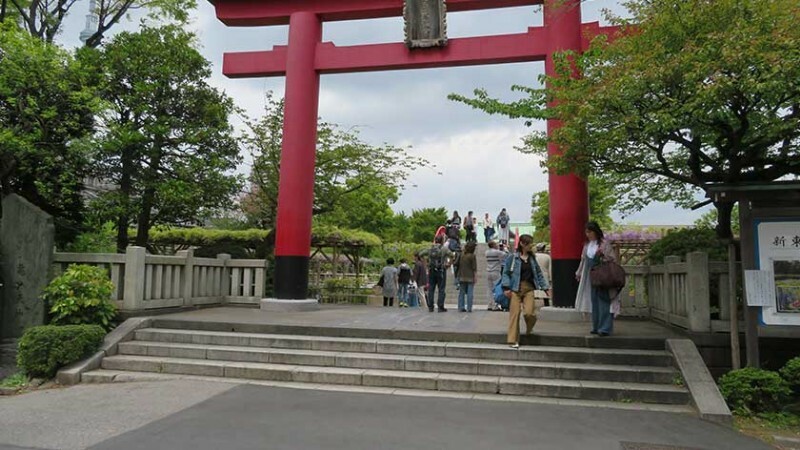 When first approaching Kameido Tenjin Shrine, you will see a large Torii gate with stairs and a wall surrounding the shrine. Do not worry, if you head to either the left or right, you will find side entrances that are flat and wheelchair accessible. Once inside, the pathways are smooth and flat. 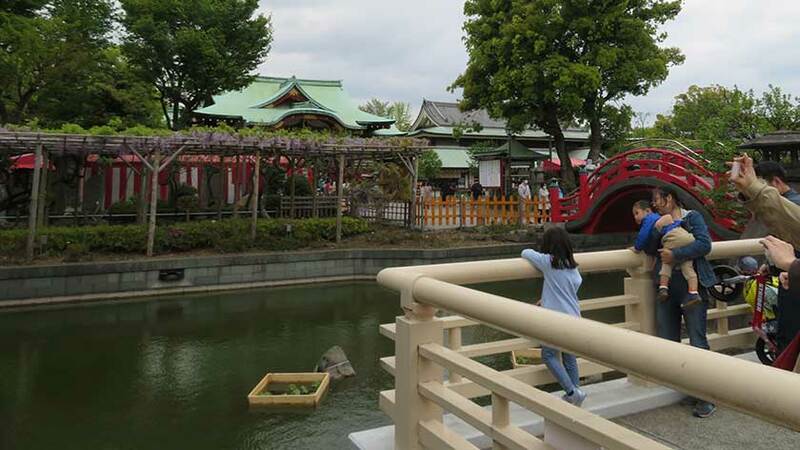 The walkways across the ponds are also flat and provide great views of the turtle ponds and wisteria flowers. 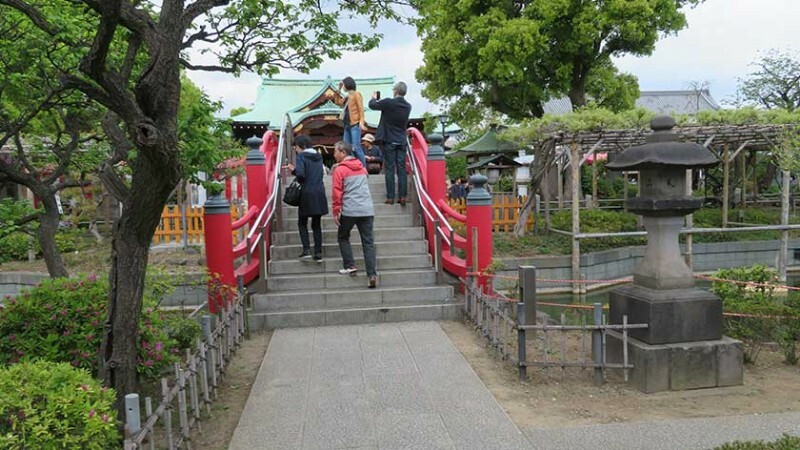 The two large Taiko bridges have steps and are not accessible, but they are not essential to seeing the entire garden. 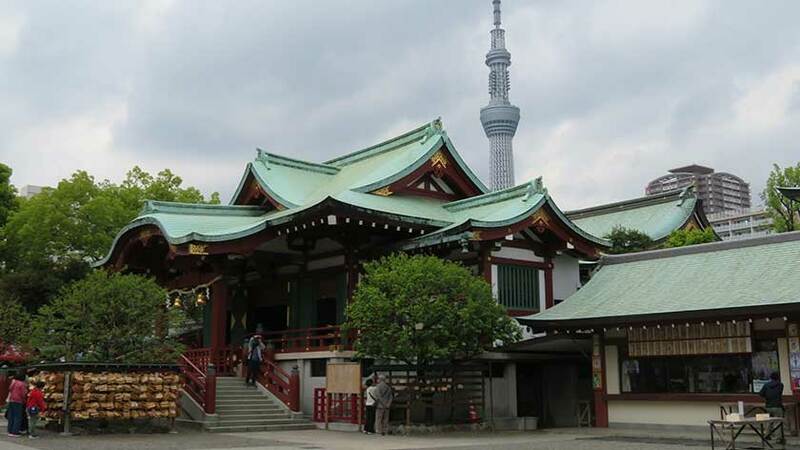 The main shrine building is not accessible, but it is still possible to take a picture of the shrine with Tokyo SkyTree in the background. There are no accessible toilets available. 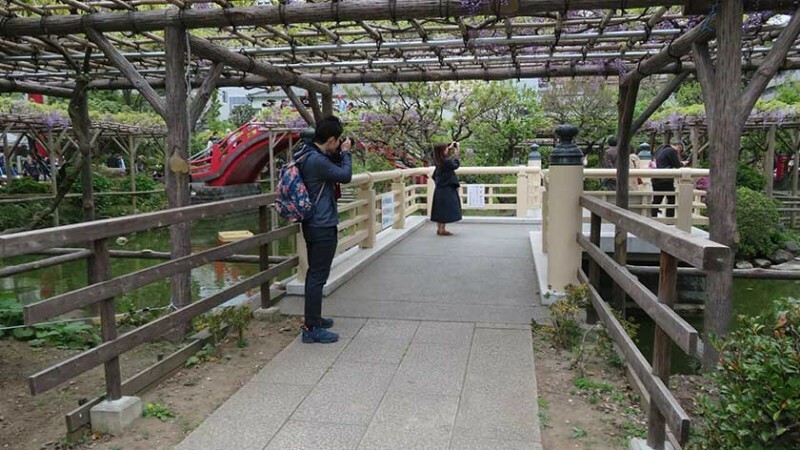 While it is a little more out of the way than other tourist spots, Kameido Tenjin Shrine is a relaxing place to visit and very beautiful during the Fuji Wisteria Festival. 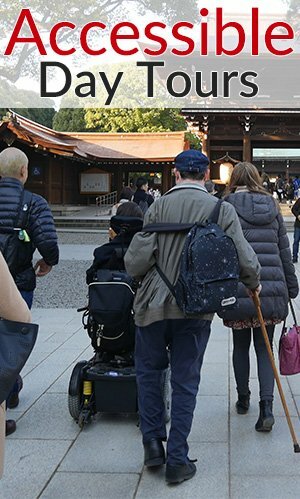 Keep in mind that the most convenient accessible toilets are at the train station – a 15 minute walk away. 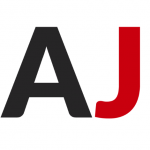 Leave your questions or comments about Kameido Tenjin Jinja here!